View of the 12th Street Bridge from inside the car. Like I noted on Monday, it can be fun to take pictures of outdoor things from inside something. 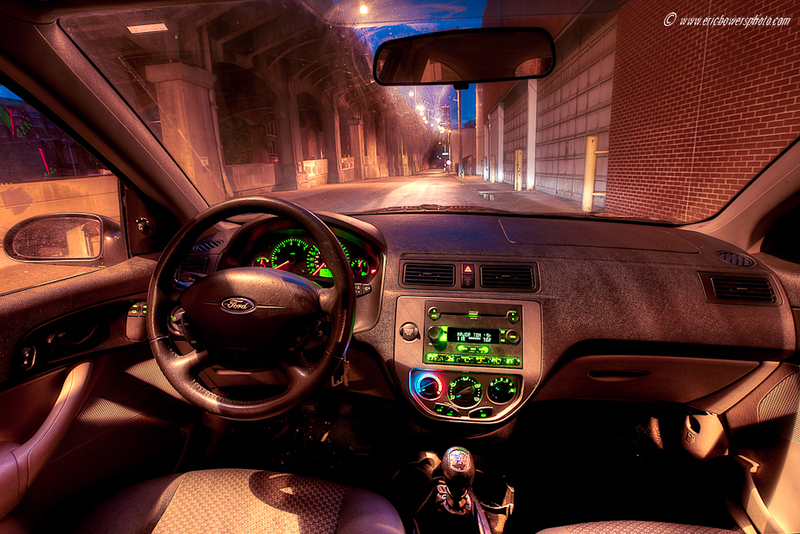 I got the idea to take an HDR photo of something from inside my car after seeing this fun photo from Times Square. In my case it was the 12th Street Bridge in KCMO at sunrise on Saturday… rest doesn’t always come on schedule. I tried to go as wide as my wide angle lens allowed but I decided to crop off the sides and make the dash of the car level a bit, as in the original it was tilted a little by accident due to how cumbersome it was setting up a Manfrotto tripod in the backseat of a Ford Focus. The view here terminates up ahead with the One Kansas City Place skyscraper to the east in the downtown loop. Taken a few minutes after yesterday’s photo, looking east kind of northeast at sunset, inside The Link skywalk between Crown Center and Union Station. 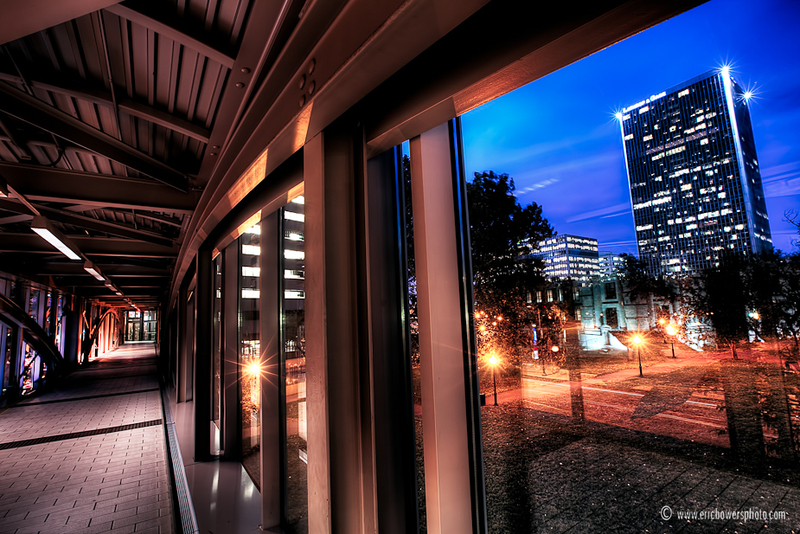 Because a lot of times, photos of the outside taken from the inside of something – are fun to take. 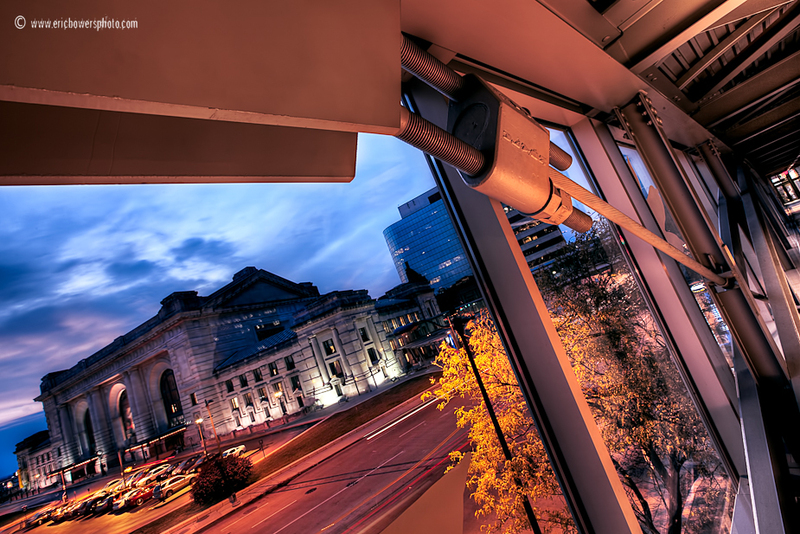 This was inside “The Link” skywalk between the Westin Hotel and Union Station, although the best part of it over Main for views is closed off right now as I saw. 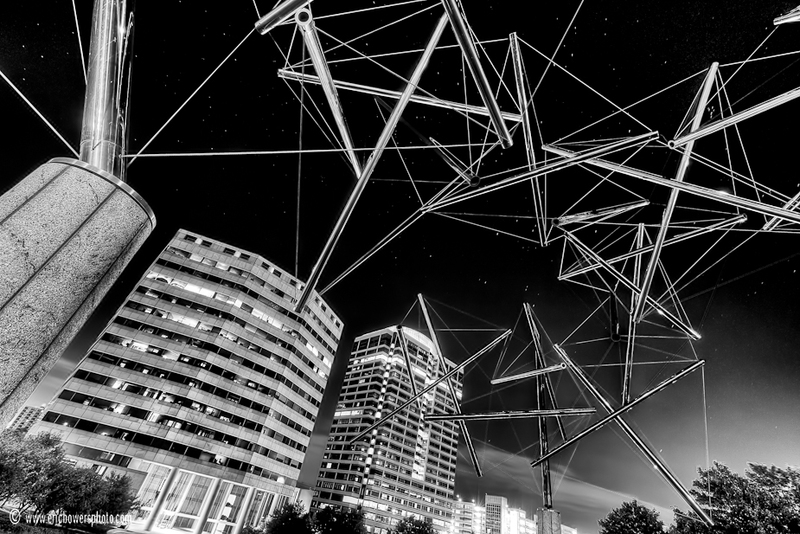 A look up at the public art installation and high-rise office buildings in Kansas City where Main and Grand Blvd intersect right where midtown ends and downtown begins. 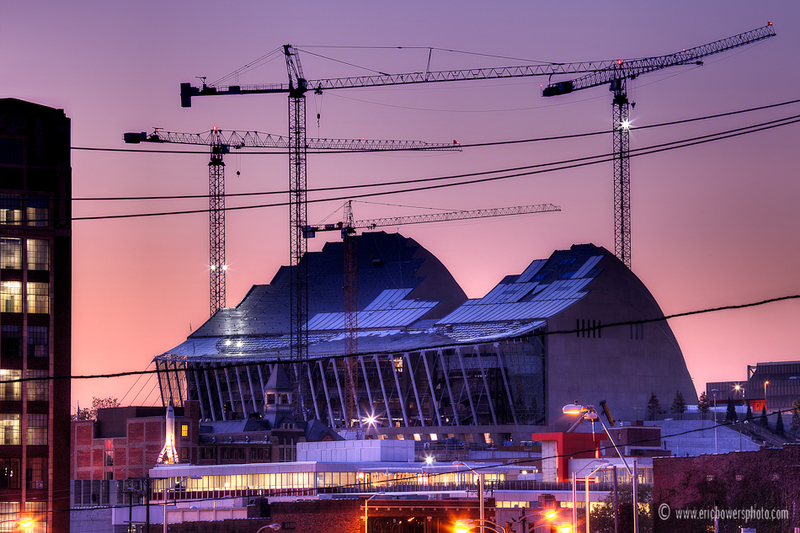 A look at the Kauffman Center construction site after sunset on October 6th, taken from McGee near Crown Center.